Fool me once, shame on you. Fool me twice, shame on me. Continue fooling me, and we have a seriously dysfunctional relationship. That’s how I feel about the media after watching last night’s prime-time broadcast of wolf cries from the Oval Office. Don’t get me wrong, I understand why the networks had to give a first-time pass. You have to respect the office. I don’t fault them for that. They’ve been fooled once. The next one’s on them. 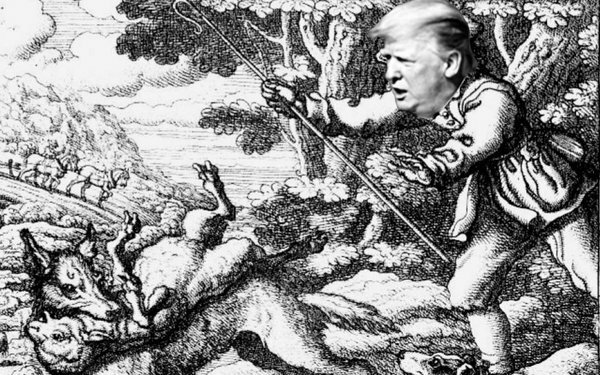 Like the villagers in Aesop’s fable, the media needs to wise up and figure out when to ignore fake threats so we can focus on our real ones. One of them is that we have a President who cannot be trusted, yet can use the power of his office to misdirect our attention where and when he wants. A couple of weeks ago, we were talking about incoming Democratic control of the House, mounting evidence from the Mueller investigation, and the resignation of the last “grown-up” in the Situation Room, Secretary of Defense James Mattis. As I write this, news broke that Assistant Attorney General Rod Rosenstein is stepping down and a new, as yet unconfirmed Attorney General will be overseeing the Mueller investigation. I believe we are at the most dangerous point of this presidency, partly because the media have not focused on how unstable the situation has become. Mattis was one of only two civilians who can issue battle orders to our top military commanders. The other is the President, who is under personal attack from criminal and legislative investigators. And now, an Acting Secretary of Defense who previously was senior vice president-supply chain & operations at Boeing. In terms of wolf-like threats, that should be the top story we are talking about. 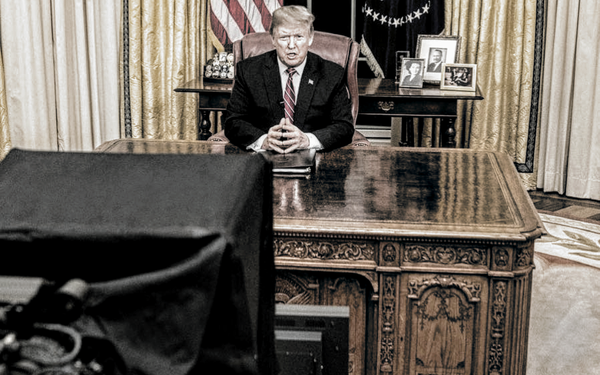 Instead, we are talking about the shutdown, and the President’s ability to command prime-time attention at his beck and call. So when news of a potentially indicting story also broke this morning that the President’s former Campaign Manager Paul Manafort provided campaign data to Russian intelligence, we were redirected by news of Rosenstein’s departure. The President is one of the most skilled tail-waggers the world has ever seen. I only hope the next one doesn’t belong to a real wolf. Or, for that matter, a bear. 6 comments about "The POTUS Who Cried Wolf". Douglas Ferguson from College of Charleston, January 9, 2019 at 11:31 a.m. It just makes you wish the DNC had chosen an electable candidate in 2016. Joe Mandese from MediaPost, January 9, 2019 at 11:33 a.m. It makes me wish we had a President we could trust. Fern Siegel from MediaPost, January 9, 2019 at 12:38 p.m.
We're still investigating Russian troll farms, potential hacking into state voting apparatuses, collusion, etc. (Then and now.) Makes you wish people weren't so easily swayed by fear tactics and misinformation. Makes you wish Americans employed a greater degree of critical thinking, so terms like "border crisis" were seen for what they are: a lie to gin up a base that doesn't mind a president degrading the presidency, press and American values. Makes you wish ALL Americans embraced the Constitution, not authoritarian impulses, and respected the dictates of an extraordinary democracy, not childish and whiny tweets. Chuck Lantz from 2007ac.com, 2017ac.com network replied, January 9, 2019 at 1:29 p.m.
And it makes me wish that Trump supporters and Hillary haters weren't so damned stupid. Chuck Lantz from 2007ac.com, 2017ac.com network, January 9, 2019 at 1:52 p.m.
See how it works these days? The same as it ever was, with the loyalists battling the rebels, while those installed in power get away with whatever they want to get away with. Having a weakened media, with no specific "voices of reason", only makes it worse. Paula Lynn from Who Else Unlimited, January 9, 2019 at 6:15 p.m.
"Until enough people feel enough personal pain, nothing changes." Note: Boeing profits greatly from war. See their major share holders and follow the breadcrumbs.